One thing I am sure about anyone is that they love free things. When it comes to blogging or social media marketing, you have to invest some money. But there are some awesome tools that you can access without paying a single pie. I am going to share some social media content tools to take your campaign to next level and some other free tools to keep an eagle eye on your followers. Let’s take a look at these fantastic tools. 1. Hootsuite : This is one of my favorite tool to manage my social media accounts. It is incredible easy to post to multiple accounts at once and makes it much easier to monitor on your accounts. This tool is freemium and free now comes with three channels(Facebook, Twitter and Google+). If you want to add more tools then you can go with Hootsuite pro which also give insights. You can also schedule your posts for future. This tool is available cross platform, means you can enjoy on your favorite devices. 2. Buffer: Buffer is also like Hootsuite but it’s also different in many ways. It differs from Hootsuite that you can see your top tweet or ay post in badge form. If you share lots of posts on social media then this tool worth of giving it a try. It is also a freemium tool and available cross platform. 3. Google Analytics: One thing that you must have to do in marketing is analyzing traffic. Analysts can track your visitors, real time views, clicks and much more. You can also figure out which posts drive you most traffic and from which source. It a necessary plus it’s completely free. 4. ViralWoot: Did you use Pinterest for marketing? Yes, then this tool is a must try. You can promote your pins, gain new followers and it also gives analysts to tweak your strategy. It’s a freemium tool and free one comes with some good features. If you grab the pro account then it also enables the alert service which let you know when someone pins from your website. 5. Facebook Insights: You can’t ignore Facebook when it’s about marketing. You should see your posts reach, influence and engagement. It’s a great way to see more active followers, clicks on your links and get a idea to update your page for better engagement. You can track your likes on posts and even track your competition and see where they are succeeding and failing. Twitter. You can schedule posts, track various hashtags, topics, events. You can organize many things such as lists, searches making them easier to access. You can also customize alerts and searches with this tool. 7. Bitly: Link shortening has been around us for a quite time and it’s true for Bitly too. It’s used to be a way to share any link by shortening quickly and easily. You can also track your links and see how many clicks a link received. It’s great way to improve your social media strategy and what’s better way to use them than with free programs? You can also create your own short and customizable sharing link with this tool. 8. IFTTT: IFTTT means “ If This, Then, That” and it sound crazy. You have to create recipes with different channels to complete your tasks. You can create various recipes for your various social media accounts like when you submit a new post then it will be automatically shared to different social media accounts. You can think of this as marketing version of scientific method. 9. TweetReach: This free tool helps you track your tweets and see an overall analytics report of how far your tweets are reaching, which can help you tweak them, making them more successful. You can boost your engagement in future by taking a close look at most tweets that are retweeted or favorited multiple times. 10. Klout: This free tools helps you to monitor your online reputation by giving you a score. You can use this tool to help you see what your audience are interested in, which you can use for future needs and interests. As you create your social media strategies, take some time to look at these various free tools to find ones that fit your needs. If you like some products then you can always sign up for pro versions for more features, but free is always a good choice to get expert campaigns at no cost. 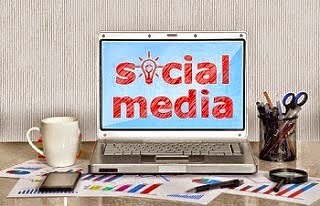 Are you going to try these free services or which services you use for your social media strategy? Let me know in the comment section. I’d love to hear from you.